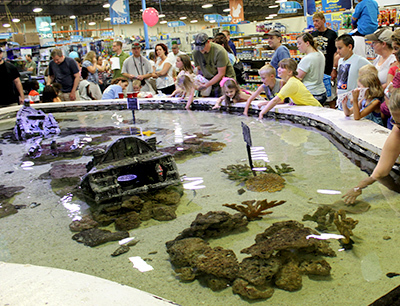 What other store has a 2000 gallon saltwater tank where you can touch live stingrays for free? 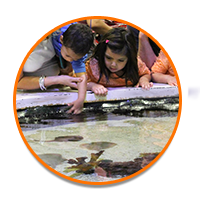 Don’t miss our most popular display, the Pirates Cove Touch Tank a unique fish-shaped touch tank is a one of a kind, hands-on experience. 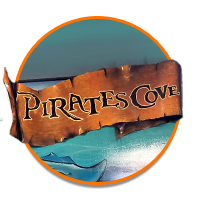 Pirate’s Cove is tons of fun for children of all ages and it provides a venue to properly educate new and advanced aquarists in the proper care of the amazing creatures within. 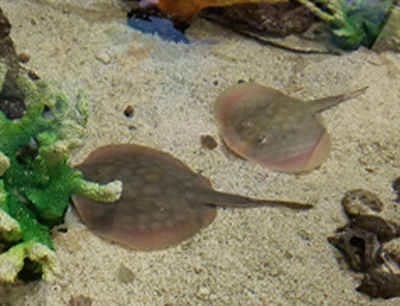 Gently touch stingrays as they effortlessly glide by, hold starfish in the palm of your hand and observe other species in the pool as they pick through the sand and explore the broken galleon run aground in the center of the cove. Free feeding shows and question/answer sessions are held each weekend. 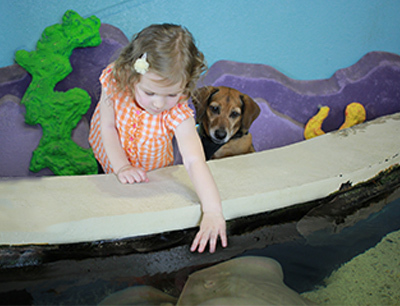 There is something for everyone in the family here at That Fish Place - That Pet Place. 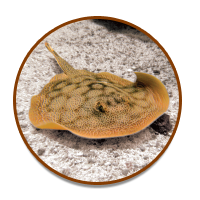 Experience these amazing creatures – It’s like a free public aquarium!